To showcase research and best practices in a wide range of health-related disciplines across Africa and beyond. To provide a forum for networking and collaboration among health related practitioners, academics, researchers and students. To engage with and learn from health leaders around the world. Our vision is to promote a strong collaboration among health-related stakeholders for evidence-based healthcare delivery in Africa. AfIHC’s mission is to advance the understanding of health through interdisciplinary research and to promote evidence based practice among healthcare providers across Africa. It seeks to provide the opportunity for health related researchers, practitioners and students to network and establish mutually beneficial south-south and south-north collaborations. AfIHC is committed to translating research into practice in Africa. 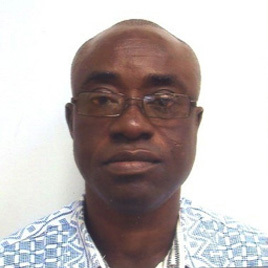 Dr. Emmanuel Opong is currently the Regional Director, WASH and Capacity Building, World Vision, Southern Africa Region (SAR). He provides leadership and management responsibility for the $200 million WASH programs in six countries and also for the global capacity building of WASH staff with Desert Research Institute (DRI) and Drexel University. He is based in Mbabane, Swaziland. Prior to this position, Emmanuel managed the World Vision and Hilton Foundation-funded Ghana Rural Water Program from 1997-2002 and also served as the World Vision United States International Programs Country Program Manager for Chad, Ghana, Lesotho, Mali, Malawi, Mauritania, Niger, South Africa and Zambia. Emmanuel’s childhood experiences in Ghana, together with his early post-secondary and graduate education, influenced his interest in water issues. Growing up in a small village, he spent six hours each day searching for water from a 25-foot deep well. Several young friends lost their lives by falling into the well or from water-related diseases, such as diarrhea. This is why he’s passionate about the issues of WASH. He holds a Ph.D. and two masters’ degrees in Psychology and International Development, and Post-Graduate diplomas in WASH, and Health Education. He is a trained SRN. 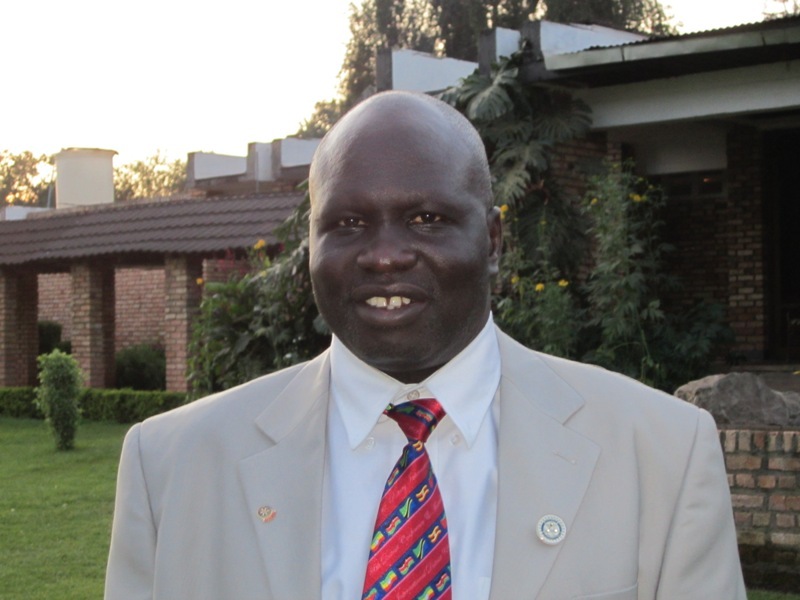 Dr. Geoffrey Anguyo is a general practice physician trained at Makerere University Medical school in Uganda with interest in innovative and sustainable approaches to community health and global health education. He is the Founder and the Executive Director of Kigezi Health Care Foundation (KIHEFO) a non-profit organization based in the south western Uganda. He is also the medical director with Child Family Health International for the Ugandan global health program and supervise student community placement program with Mbarara University of science and Technology faculty of medicine and department of community health. He has delivered speeches in different platforms nationally and internationally in conferences, universities and at resource mobilization activities with partners. In August 2018, he was elected as a board member and the governing council for Uganda Society for Health Scientists which is the biggest umbrella organization that brings on board all health professionals in Uganda and it is affiliated to the East African community. 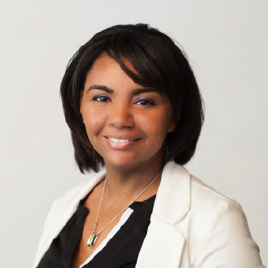 Dr. Slaughter-Acey is an Assistant Professor in the Division of Epidemiology and Community Health, School of Public Health at University of Minnesota, Minneapolis. As an epidemiologist Dr. Slaughter has been investigating the biological, social, and behavioral aspects of women’s and children’s health, and how these aspects affect their quality of life for over 15 years. Her research primarily focuses on environmental (both social and physical) and psychosocial factors that contribute to women’s health across the life course, with particular emphasis on the reproductive and perinatal health of marginalize and/or underserved populations. Dr. Slaughter-Acey's contributions to science fall within the following two domains: 1) The use and integration of socioecological and life-course approaches to study of maternal and child health (MCH) and health equity; and 2) Investigating the effectiveness of maternal and child health interventions aimed at improving pregnancy outcomes overall and/or reducing MCH health disparities. Her research related to the first domain currently involves the examination of the intersectionality of race, class, and skin color in relation to Black women's perinatal health outcomes using existing data sources. Dr. Slaughter-Acey's research associated with the second domain has focused on investigating the effectiveness of perinatal health interventions such as prenatal case management or home visiting programs, prenatal care, and currently postpartum maternal care. Before joining the faculty at the University of Minnesota, Dr. Slaughter-Acey was Assistant Professor at Department of Health Systems & Sciences Research in the College of Nursing & Health Professions with a secondary appointment in the Department of Epidemiology & Biostatistics located in the School of Public Health at Drexel University. Dr. Slaughter-Acey received her Master of Public Health in Maternal and Child Health from Tulane University, School of Public Health & Tropical Medicine in 2002 and her Doctorate of Philosophy in Maternal and Child Health Epidemiology from the University of Illinois at Chicago, School of Public Health in 2010. Her dissertation research illustrated how a measure of dosage is key when evaluating the effectiveness of MCH programs, such as prenatal home visiting, in reducing adverse birth outcomes as these programs often created individualized care plans for women enrolled. Additionally, Dr. Slaughter-Acey completed a T32 NIH post-doctoral fellowship in Perinatal and Social Epidemiology in 2013 at Michigan State University. As a postdoctoral fellow her work focused on etiology of cerebral palsy, the interaction of racial discrimination and depression on preterm birth, the examination of racial discrimination and coping mechanism on entry into prenatal care, and the influence of socioeconomic mobility on fetal growth. 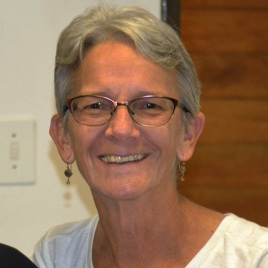 Dr. Janet Gross is a Professor Emerita of Nursing at Morehead State University, USA. Since retirement in 2008, she has served from 2008-15 as a Visiting Professor at University of Cape Coast and West End University College both in Ghana. In 2015 she joined the US Peace Corps as a Response Volunteer Nurse Educator and has taught in Uganda (2015-16), Swaziland (2016-17) and has been in Liberia since August 2017. In 1971, she graduated from Niagara University, NY with her Bachelors of Science in Nursing. She began her professional clinical career in service to her country as a member of the US Army. Upon discharge she continued to practice as a professional nurse until she earned her Masters of Science in Nursing, specializing in Adult Health and Nursing Education from the University of Kentucky in 1983. Dr. Gross enjoyed her dual roles of educator and clinician while completing her Doctor of Science in Nursing from the University of Alabama, Birmingham in 1992, building on her specialties of Adult Health and Nursing Education. She developed a passion for culture and health while working concurrently in International Education at MSU. This lead to her achieving a Post-Masters Certificate in Transcultural Nursing from Duquesne University in 2004. Dr. Gross has devoted her professional career to the profession of nursing and nursing education. She has taught and been an administrator of associate degree, bachelor’s degree and masters degree programs in nursing. She was corrected once for referring to “my students” which demonstrates, in part her teaching philosophy. Dr. Gross, as a strong student advocate, believes that when students step into her classroom they become hers - to nurture, support, guide, mentor and perhaps most importantly to challenge to do their best. Any success can only be measured by those that follow. Over the past 10 years, her philosophy of teaching as well as her teaching skills and expertise in curriculum development have facilitated her desire to make a lasting contribution to the capacity and sustainability of nursing in Africa. She holds memberships in national and international nursing organizations such as American Nurses Association, National League for Nursing, and Sigma Theta Tau International Honor Society of Nursing. Additionally, she serves on the Board of Directors for several national organizations in Ghana. 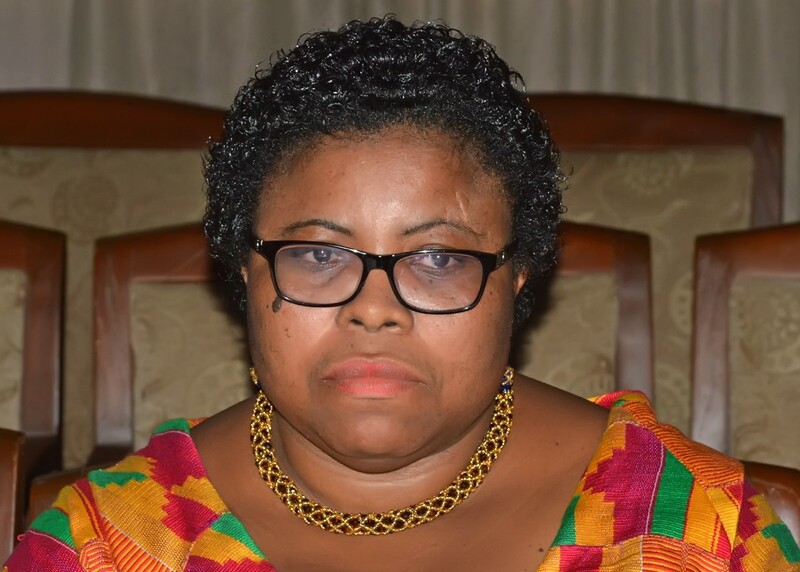 Dr Lydia Aziato is an Associate Professor and the Acting Dean of the School of Nursing, University of Ghana. She has been a nurse since 1997. She had her first degree in Nursing and Psychology and an MPhil in Nursing from the University of Ghana. She also had her specialty training in Oncology Nursing from the Cross Cancer Institute in Edmonton, Canada and completed in 2006. Subsequently she graduated with a PhD in Nursing from the University of the Western Cape, South Africa in 2013 where she researched in post-operative pain management and developed a clinical guideline for post-operative pain management. She has published in many credible peer-reviewed journals and is a reviewer for many. She holds both local and international positions in nursing organizations such as Sigma Theta Tau International. She is an external examiner for a number of Universities. She is among the top young scientists in Africa to have secured a seat as a fellow of the Africa Science Leadership Programme. 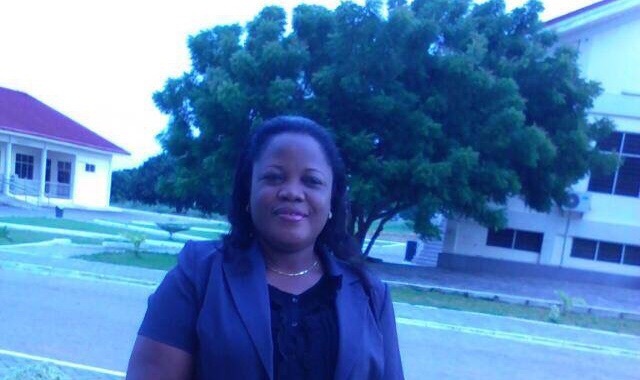 She is the faculty chairperson for the oncology nursing specialist programme in Ghana. Dr Aziato’s research interests span across pain management, cancer and surgical nursing. She has advanced skills in qualitative research and curriculum development. Patience Fakornam Doe is a registered nurse with specialist education in public health, education and health promotion. She did her first and second degrees at the School of Nursing and School of Public Health, College of Health Sciences University of Ghana. She has been involves jobs related to maternal and child health promotion, continuous professional development, undergraduate as well as postgraduate nursing education for several years. Dr. Márquez is the Dean of Undergraduate Global Engagement at Columbia University where she provides leadership in developing interdisciplinary and inter-professional academic initiatives and research partnerships in global health with partners around the world. In addition to her appointment at Columbia University, she serves as the Director (and Founder) of the Dornsife Global Development Scholars Program (http://drexel.edu/dornsife/global/dornsife-scholars/scholars/) which leverages an innovative capacity-building partnership between Drexel University and World Vision International to provide global health training, experiential learning and funding for faculty/student research and student field experiences in 36 countries across Sub- Saharan Africa. As an experienced senior leader in global health and “public health engineer”, Dr. Márquez has garnered international recognition for her work in water, sanitation and hygiene promotion (WASH); health systems strengthening and capacity building; and the environmental burden of disease in developing countries. She holds a BS in mechanical engineering from Prairie View A&M University; a master’s in civil engineering from Texas A&M University; and a PhD in environmental sciences and engineering from the UNC-Chapel Hill Gillings School of Global Public Health. Before moving to Columbia University, she was the Vice Provost for Global, Health & International Development and, Professor of Environmental & Occupational Health at Drexel University. She teaches graduate courses in WASH, global health ethics, public health in developing countries and maternal and child health—including graduate public health field courses in West Africa and Cuba--and also helps support a number of interdisciplinary global health research, academic and training activities in Europe, Asia, Latin America, and Africa. In addition, she has held distinguished faculty/research appointments at The University of The Gambia and Gambia College School of Public Health; the Université Gaston-Berger de Saint-Louis in Senegal; as an Erasmus Mundus Scholar at the Ecole des Hautes Etudes en Santé Publique (or EHESP, The French School of Public Health), and the University of Sheffield (UK) School of Health and Health Related Research (ScHARR); and as an Associate Scholar at the University of Pennsylvania, Perelman School of Medicine-Center for Global Health. Dr. Márquez also serves on numerous boards and committees including, Power Up Gambia, the African Family Health Organization (AFAHO), and the Board of Directors of the Consortium of Universities in Global Health (CUGH).